Home to everything a Dog-Lover could possibly want or need. Also, sure to please your furry friend. Our collars are made to be stylish as well as comfortable! Here at The Golden Dood our top priorities are comfort and style. We know that as pet owners you only want what is best for your pet. So that’s why we’ve put together these fashionable, unique, and adorable patterns. Your pup is sure to be the cutest fur baby at the park in our stylish collars! If there is a pattern or color you are looking for, let us know and we’ll do our best to find it! Our leashes are made in the same way as our collars! They are both made of Nylon material! They are easily cleaned as well as durable. There is a matching leash for every collar. Currently our leashes are only sold in one length; 6′. However, if you are looking for something specific please do not hesitate to contact us! Our main priority is getting you and yoru pet the best products, so take a look around and if you don’t see what you’re looking for, shoot us an email! We believe that every pet should have a harness! They help the owner manage the pet in a more efficient manner, as well as provide more comfort than a collar. That’s not to say that your pooch doesn’t need a fashionable collar as well, they can wear both! Our harnesses are made from a mesh and nylon and create a breathable and cool experience for your pup. We want to make sure that your pup is styled in just the way you want, so let us know if there is a color you would like us to add! Be sure to check out our holiday harnesses! Toys are a dogs best friend; besides man that is! Everyones pup has that one toy they never put down. Maybe it’s an alligator, maybe just a plain ol’ tennis ball; whatever it is it’s special to your fur baby! Here at The Golden Dood we love toys, and think that choosing a toy should be fun. All of our toys have been tested by the one and only Fletcher The Golden Dood. 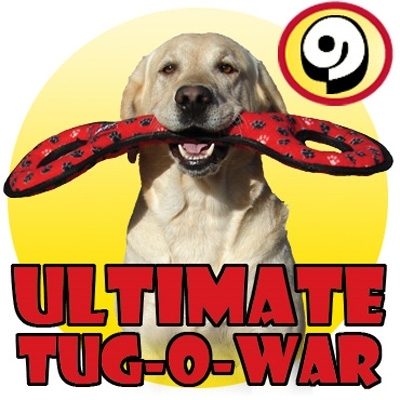 He’s a pro at choosing toys off the shelf, so order one for your pooch. We’re sure our toys will be your pups new best friend!